After the storm always comes the calm and taking advantage of the calm after their response to Hurricane Irma and Hurricane Maria we took the chance to speak with Reynaldo Ortiz, Executive Director of Rescate Ambar Foundation, located in the city of Puerto Plata on the northern coast of the Dominican Republic. 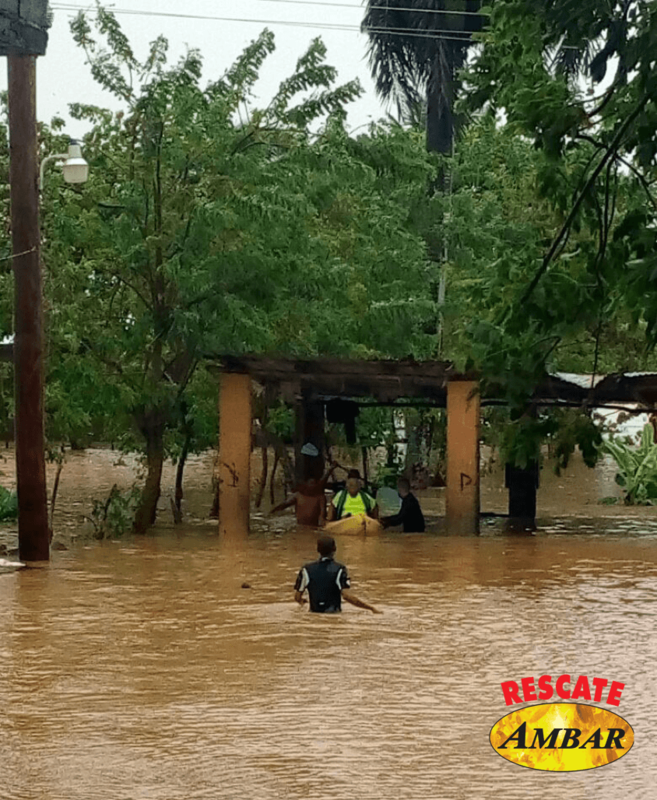 Puerto Plata was struck by both hurricanes this past September and Rescate Ambar was there for both occasions to mobilize its volunteers and resources and extend a helping hand to the people of Puerto Plata in their moments of greatest need. We sat down with Reynaldo to ask several questions about Rescate Ambar’s experiences and efforts during, before and after these historic storms. What is the mission of Rescate Ambar? We’re a non-profit relief organization whose mission is to protect and save the lives of our fellow citizens by providing prehospital care services, as well as organizing training for students, providing public outreach to the community, and getting involved in disaster preparedness, response and mitigation plans for the community. In your long career as first responders how many natural disasters have you lived through that you can remember? I have witnessed and participated in providing assistance in various disasters and / or catastrophes in our country and specifically in Puerto Plata, and also in the neighboring country of Haiti. My colleagues and I were able to serve during the response to Hurricane George (1998) and Olga (2007), during the earthquake in 2003 which had a major impact on Puerto Plata, and we also had the opportunity to help in our neighboring country of Haiti after the 2010 earthquake, carrying out arduous rescue work. How does Rescate Ambar prepare in advance of the arrival of a hurricane? In order to be always ready, our agency conducts training sessions several times a year, but when the hurricane season starts on June 1 until November 30, we review the knowledge and training of the staff, updating knowledge about tracking a hurricane using maps and other tools, we review the resources to verify what we have and what we lack (boots, shovels, spikes, waterproof equipment, medical kits), and we also call our mutual aid partners in the community with 4×4 vehicles that they can lend us in case they’re needed — to remind them that hurricane season is upon us so that they are ready for our call in case the vehicles are needed. When there’s an imminent hurricane threat, we assemble and stage all the personnel at our station in case an evacuation is needed in the high-risk zones. Once the hurricane has been confirmed, we all wait in quarters for the hours of greatest to danger pass and then proceed to rescue those who have suffered damage. Volunteers also work in the public education sessions before the hurricane arrives. What was your experience during the response to Hurricane Irma and Maria? We worked hard, first in reaching out to the general population with other rescue agencies here in Puerto Plata. Then we focused on organizing shelters where people evacuated from the most vulnerable places could be taken; in these shelters a RA ambulance was staged and staffed by medical personnel and assistants so that we could respond quickly and transfer to local hospitals when needed. After the hurricane, we got involved in the mitigation work, helping to clear the roads that were blocked by fallen trees and lying on the ground. In coordination with the governor of the province of Puerto Plata, we kept working hard for several days, struggling not to let ourselves be overcome by fatigue. In this way RA had an active participation during both storms, protecting first the life of the residents and then the work of mitigation. During the response to Hurricane Irma and Maria, what type of incidents were most common? Were there any that you can remember clearly and share with us? In the case of Hurricane Irma, most of the roads in Puerto Plata were blocked by trees that had been downed by the strong winds and our staff had to be extensively to remove these. Other incidents I remember were that several pregnant women staying in the shelters went into labor due to the pressure and fright of the moment; our ambulances and staff had to take them to the hospital or the different clinics in the city, some of these incidents occurred in the moments of greater risk while the hurricane struck, putting our personnel at risk. I also remember a moment when one of our ambulances was trapped on a bridge at the entrance to the city during the passage of Hurricane Irma, when it was moving from the shelter located at the local university to the hospital with a pregnant woman, a pole of the electrical line fell in the front of the ambulance and when the driver tried to return back it was trapped by other telephone lines that also fell, obliging us to send out another unit from our station to rescue the personnel in the ambulance and to be able to get the patient to the hospital. During the passage of Hurricane Maria our volunteers worked a lot in the community of Sabaneta de Yasica, located beyond Cabarete. Thank God a private company lent us one of the military trucks that are used here to transport tourists on difficult roads and we used it to get into that community — we were faced with severe flooding, entire families had to be rescued from the roofs of their homes, desperate to be saved. At the height of the hurricane, there were some accidents that we had to attend to and we also received calls from people whose roofs were torn off by the hurricane and we had to take them to the shelters in the middle of Hurricane Irma. What have you been able to learn from your response to Hurricane Irma and Maria that will serve you better for the next one? The first lesson was the importance of constantly following the trajectory of the storms on the internet. Previously, we only listened to the information provided by the authorities of the country [on TV or the radio], which, because they did not have the equipment required to track a hurricane, transmitted delayed information. But using the internet, we can now keep up-to-date with the latest information from the Miami hurricane center and other international agencies that allow us to receive updated information every moment, keeping us informed 100% about the true trajectory of the natural phenomenon and allowing us to be ready to act on time. How could the community be better prepared against the possible threat of another hurricane? The first step is to maintain permanent contact with the relief agencies, listening to the information carried by radio, television and other media. Another important step is the creation of public awareness campaigns through different broadcast and print media, specifying the steps to follow before the hurricane makes landfall and to have a higher awareness of the risks to life — these campaigns are not realized by the lack of resources. The creation of community groups responsible for ensuring the well-being of their community is also very helpful, which then become the first line of response in the community against any request for help. Do you believe that there are misconceptions in communities in the face of a hurricane? Yes, of course, there are several. One of them is that people believe that if the hurricane doesn’t pass directly over their community, it will not affect them — a totally wrong concept, because even if the storm passes hundreds of miles away it can still cause damage to the community. Another erroneous belief commonly found is that when the houses are fragile, or constructed of wood, they believe opening two parallel gates in the direction of the wind will allow the wind to enter by one and leave by the other without causing damages — a serious mistake, since once the wind forcefully enters the property it will lift the roof off the house. How have Rescate Ambar volunteers helped the city of Puerto Plata? 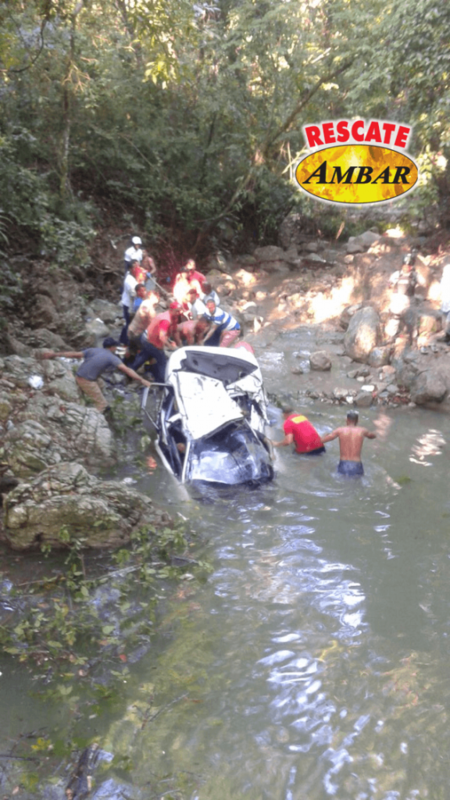 Before Rescate Ambar began providing services in Puerto Plata many people died after having an accident or when they had any health condition in their home because there was no agency in the city to provide care and transport to the people. Since we started in 2003 we’ve been providing a very important service for the community: we’ve always had ambulances and whenever there is an emergency we go out to help. Before, the relatives had to transport their patients in vans, cars and even on motorcycles — even after a car accident the patient was transported on a motorcycle. In the case of our response to hurricane Irma and Maria, we coordinated with other military and civil agencies to work for the benefit of the whole Puerto Plata community. What are your challenges as an institution? As an agency we have several challenges, but the most important is to be able to reach other communities, to be able to start up Rescate Ambar delegations in multiple municipalities across the province of Puerto Plata, as people are still dying for lack of assistance in municipalities that are outside the center of the city and where we can’t attend for reasons of distance. When we arrive to these far away locations the patient is often dead. For this reason, we have as a main challenge the placement of delegations of our staff in several municipalities. Our second challenge is the acquisition of vehicles that allow us to reach places that are difficult to reach in the event of floods or bad roads, such as a military truck. These vehicles allow us to cross rivers and mountains if there are no helicopters available to bring food to communities that are totally without communication, a situation that is common after many natural disasters. Another major challenge is our ability to acquire new ambulances. The ones we have already have given more than 100% of their performance and are very old, so we need a vehicle for our rescue brigade where we have all rescue tools and extrication equipment in case of entrapment after a motor vehicle collision. What does Rescate Ambar need to improve its capacity as an agency? Our main need is the resources, which can be economic as well as logistics, such as Beacon, a communication system that we thank Trek Medics for providing to us. Beacon has improved our way of communication in a great way and therefore also enabling the work we do. We need resources to be able to pay staff because the demand of our services from the population is so much needs that the volunteers we have are not sufficient. How do you use the Beacon system? Since the beginning of 2017 we’ve been using the Beacon platform, which has been very useful, because when the emergencies happen, the volunteers can be at work or at home and an alert is sent via text message through Beacon that gets to them immediately, and upon learning of the incident the volunteers can respond to our base immediately or they can go directly to the scene of the incident. This allows us to have more direct communication, because with the radios the battery could be dead or the signal is bad, but through Beacon the response is faster and more effective, therefore Beacon has come to solve a communication problem contacting our volunteers. What type of support does RA receive from other rescue groups? Very little actually since most state rescue agencies in our country have less equipment than we do. But we have received help from an association of Puerto Plata expats living in New York City. We are also receiving help from Firefighters Without Borders, a Canadian foundation. How can people help RA? We have different needs such as first aid equipment and materials, ambulances, radios and money to cover operating expenses. If any person or organization wants to volunteer with us you can contact us through Facebook, calling us at 1-809-261-4361 or visiting our facilities in the city of Puerto Plata, where you can ride along with our service. We operate 365 days a year, 24 hours a day and our doors are always open. Another channel for donations are the shipping agencies, if you have a donation you can send it tax-free by any shipping agency on behalf of our institution to our address. WANT TO RIDE-ALONG WITH RESCATE AMBAR? Sign up today on VISIT.org for our exchange program and spend a few days with ambulance crews in Puerto Plata, D.R.